This level has hard difficulty as it have lot of blockers with jellies that you need to break with balancing the Odus owl. For this level you need to play from bottom of the board and play more with normal candy or use special candy if you have chance to break it without unbalancing the Odus owl. As moon struck try to use other special combos to reach requirement. 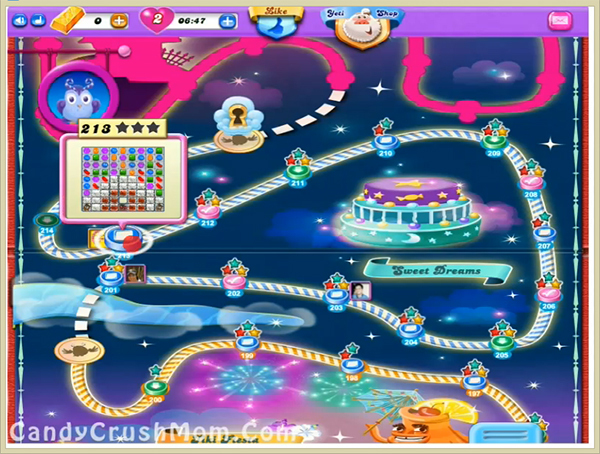 We completed this level with 422700 score using some special candies and moon struck help to break jellies and reach requirement with three star score.